Junior High football game vs Washington has been rescheduled for today. Game time is 6:30 pm. A game only. Girls Softball game today at Bayou. Congrats to the team on their "NO-HITTER" yesterday again St. Joe. 13-0. Go Fillies! Punt, Pass, & Kick (sponsored by the Lee Senior Class) for all boys in grades K3-6 starts at 5:30 Friday night on the field! Friday Night Concession Stand Duty: 1st Half - Ginger Cooke, DD Barksdale, Elizabeth Gibbons, Brandon Soldevila2nd Half- Lisa Rhoden, Bill strohm, Shelia Strohm, Shelia Riddick, Robbie Riddick, Kristi Byrd. We need two more workers for the first half of the game this Friday. Are you an artist? 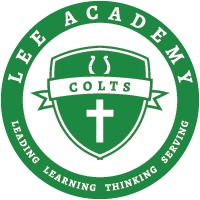 Create a design for Lee's 2016 Homecoming t shirt. The winning designer will earn a point for their class for theHomecoming Competition. See Miss Butler for details.